Where do we go after we die? Don't we all want to know? 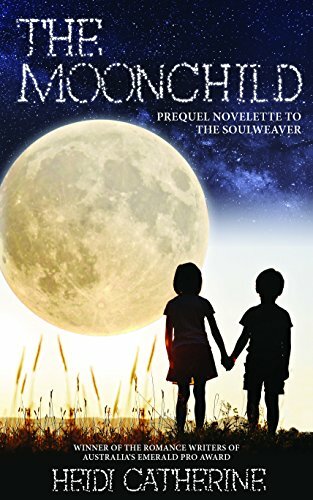 The Soulweaver is a book that may have some answers for you. 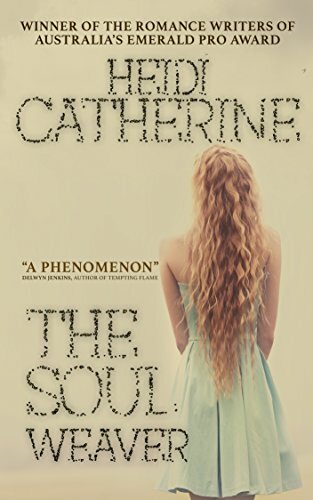 Reincarnation is definitely on my list of possibilities so I avidly read The Soulweaver which touched me (and my soul, I think). Through easy-flowing prose, the author conveys through fiction that love can remain with us forever if we find our soulmate and also shows the different types of love that can be experienced. This was a book I didn't want to end and I certainly hope that I meet the main characters again in a sequel. I definitely recommend this beautifully written, thought-provoking novel. I was was so fascinated by the story that I asked the author Heidi Catherine a few questions and she kindly agreed to come onto the blog and answer them. Sue: Everyone is saying this is a thought-provoking book. Do you think that is because it is about reincarnation? Heidi : I hope it’s prompted a few people to think! My goal was not to tell people what happens after you die, but to encourage readers to consider some of the possibilities. I’m convinced there’s more to life than just the one we’re living now – I’m just not sure exactly what it is. The readers who are connecting with this book seem to have the same kind of curiosity. Reincarnation is just one aspect of this and is a concept I’ve always been fascinated with. The more I’ve read and learnt about it, the more I’ve become convinced that it’s a very real possibility. It explains so much about life. Sue: I agree, there's much to understand about our lives. Why did you write about this subject? Heidi: I wanted to write a love story that was unlike anything I’d read before. So I went to bed one night throwing ideas around in my head, but not liking anything I was coming up with. But somehow sleep sorted this out for me and when I woke up I had a memory playing on repeat inside my head. It was of a conversation I’d had with my mother when I was a child and I’d asked her what would happen when a widow remarried only to find herself in heaven one day with two husbands. This got me thinking about life after death and loving the same souls over many lifetimes. The plot unfolded from there and I knew I just had to write this story. It poured out of my fingertips from there. Sue: Gosh. I wonder what does happen if you have two husbands? Do you think you’ve lived many lives? I say this because I have a horror of anything to do with World War II and, of course, I wasn’t alive then (I think). Heidi: This is where I’d like to turn the interview around and ask you more about this! I love hearing stories like that. I’m almost certain I’ve lived more lives than just this one, just as I highly suspect your feeling about having lived through WWII may also be spot on. I once had a past life reading and was completely absorbed in the stories I was told. Apparently I was once a dancer, a miner trapped underground and a movie star. All of these lives have relevance to my life today and I’d like to believe it’s true, but not knowing for sure is also one of the beautiful mysteries of life. Sue: Well, my fear of anything to do with WWII is very weird indeed. Don't ask me to read a book or see a film (Schindler's List was a no-no). If we met Lin (your main character) in the street, would we notice anything special about her? Heidi: Lin spends her life feeling confused and like she doesn’t quite belong in the world she lives in. So you may notice her wandering around the streets looking very distracted. She carries a sketchpad around and likes to draw the faces she sees in her dreams, always searching for the face that haunts her the most – her soulmate, Reinier. Sue: He sounds lovely in your book. Wish he'd haunt my dreams! You have a prequel to Soulweaver – tell us about that. Sue: Definitely worth downloading. You have another book coming up in 2018 I think. Will it be similar to The Soulweaver? Heidi: Yes, I have the second book in the series coming out in March (The Truthseeker) and the third in June (The Shadowmaker). They continue on with the story of the souls we meet in the first book. All three books are linked, yet have quite a different feel to them. The second book is about forgiveness and I’m told it takes the characters in a fairly surprising direction. I’m really excited about getting these stories out into the world. Take a look at Heidi's Amazon Page to see all her books - both past and future!